Some guys get excited for spring training, some are fanatical about football, but for others a season of more gentlemanly pursuits is upon them. Bearduary (a combination of "beard" and the "-uary" of the months during which it takes place) marks the official beard-growing period from January 1 to March 1 for a group of Brooklyn-based men (and the ladies who love them). As the group's website proudly proclaims, the season is here. Bearduary is now in its fourth year, and has spread from Brooklyn and New York, through Long Island to the Hamptons, north to Boston, across the continent to California and even over oceans—with last year marking the start of the Belfast Chapter. It is free to all, and all are encouraged to participate, even if they haven't ever grown a beard before and don't think they are capable (you'd be surprised by past success stories, including a 17-year-old and an Irishman). Each season the men document their follicular follies with cameras and send the photos to mustache@bearduary.com to be posted on the site. At the conclusion of the 2008 season the shaggies were even shaved and shorn live on the Today Show. When asked why they grow beards in January and February Bearduary members most often look at you like maybe you're a bit slow and mutter from below a furry upper lip, "Because it's cold out there." But this year the group is adding a fund raising component. 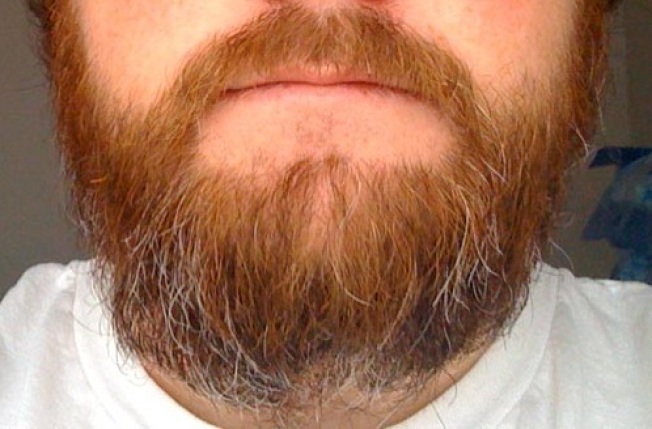 Many of the members haven't grown a beard previously, or only go wooly for the two months of the year. These men will take donations to a charity based on their growth time—like being sponsored by the mile, but they are sponsored per week of growth. So it's all for a good cause (or no cause, if you prefer your beard sans charity) and twice as tough as Movember.